You guys, in case you don’t know, in addition to this blogging thing I’m also a virtual assistant to other bloggers and small business owners. Now, I won’t say who I work for, but I can tell you that over the last year and a half, I’ve had the pleasure of working for some of the best in the “business” and along the way, I’ve picked up on some of the things that make them the “best”. In order to give back to the blogging community that I’ve been a part of since 2010, I thought I’d share with you some of the tips and tricks I’ve picked up while working for these awesome men and women. Tip #1 – They promote a single post for at least 10 – 14 days initially and then re-promote it over time. The answer to that is no. Why? Because they are selective in how they promote. We’re not talking 14 days of Facebook posts (honestly, how many people would actually see them?). We’re talking link parties, Pinterest, Facebook, Twitter, Google + and Instagram. Also? Newsletters and weekly recaps. Just not every platform, every day. But let’s focus on the one that surprised me the most – link parties. One of the services I offer is link party link ups. Yes, in the world of social media, it’s easy to overlook link parties as something your grandma would be doing if she were a blogger, but I promise you they have untapped potential. And all of the bloggers I work for promote their posts at link parties for a solid 10 – 14 days before moving them out of rotation. It surprised me so much that I thought I would try it myself, and guess what? It worked! I’ve had a solid bump in my traffic. I’m so surprised that the big guys promote the same post for 10+ days. Great tip that I don’t think I’d figure out on my own. It was surprising to me too Susan! Interesting. I thought link parties were kind of a thing of the past. Which ones do you find worth the time? Any chance I could get the list too? 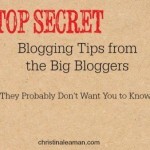 When I first started blogging, link parties were the ticket. I cut waaay back after my second baby and the While game changed with social media taking center stage. I hate social media. It’s always changing and I can’t keep up. I’d love to know what parties are still worth it. Thanks for the tip Christina! It can be time-consuming to link up but the boost in traffic may make it worthwhile. I have started promoting my post for longer too and on more platforms and it has been helping a lot. I have not been promoting for 10-14 days though on link parties. I use share three post from the last week so then I don’t share the same post two weeks in a row on the same link party. I was surprised to see that they post the same links on link parties two weeks in a row, but in my package they submit 5 links and I think that makes it easier to rotate new (and old!) links in and out. How are you tackling more platforms? What is your strategy Sheena? Very interesting – funny that those that promote that way often have rules about only new content for sharing at their own parties they host. How do you get around that? Honestly, I link up so much new content that the one or two that aren’t seem to go unnoticed. I’ve never had a problem with it, but InLinkz is also adding new features that may impact that. I’m going to be writing up a post about making link parties VA friendly very soon so keep an eye out. Seriously 10-14 days? I promote a new blog post on Twitter three times in one day, (plus a post each to FB, G+, LinkedIn) and then wait until my next post comes out the following week. I guess I’m missing out! Yep! Most of them are craft/DIY bloggers though so it might not apply to your niche as much, Lauree. I think looking in to CoSchedule might benefit you though. I don’t do link parties very much anymore but I do promote each post on Pinterest for a good two weeks in addition to all the other social media platforms. Pinterest brings me the most traffic so I focus on that. I say whatever works for you, focus on that! But I couldn’t help but share my results from link ups. Kinda neat! Do you have any boards you like best on Pinterest, Kelly? I slacked off on link parties for a few years, but am getting back into them. It seems to be helping. As far as getting tired of seeing the same links, isn’t there something in marketing about seeing a product 7 times before you buy? I know I’ve clicked on a link because it seems to just be showing up everywhere! *That* is a great point Keri! You’re right. I hadn’t compared it to marketing but that is totally the same thing. Hi Christina! I’ve recently applied for a position as a virtual assistant! How do you like it? I am keeping my finger crossed that I get bump to the 3rd round of the interview process! ( Just finished the second round this morning!) I love linky parties! I was over at Create Link Inspire party and saw your post! I have notice too that linking up at parties does effect my traffic! 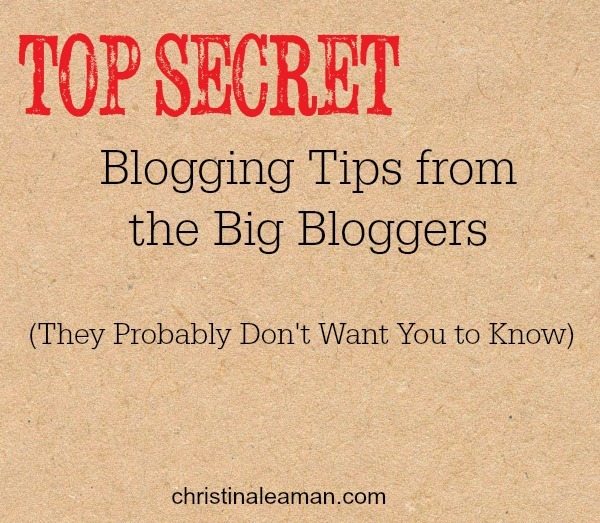 Going over to the second series of your blogging tips! Thanks for the help! I hope you have a lovely week! Pinned it! Hi Gina! I *love* being a VA. I think since you’re applying with an established company rather than going freelance it might be a bit easier for you. I’m crossing my fingers for you! Hi Christina, I am so glad that I found this post on itsoverflowing.com party. This is the first time I have been here. I am sure I will be coming back. Could I also ask for a list of the parties that you find useful. This is so refreshing, I was just feeling so frustrated with my progress. Stopping by from Turn It Up Tuesday. This is great information. I’ve started to participate in more linkups. It’s great exposure! Thanks for the great info. I re-read this a couple of times to make sure I got everything. I look forward to more tips in the future. Thanks for linking up to Tips & Tricks. I can’t wait to see what you link up next. ps. I pinned this! Just really getting into the link parties, finding ones that I like. Some are fairly niche specific. But I sure am having a great time getting to know other bloggers. I will try your tip, I could always use a bump! Thanks for the great info! 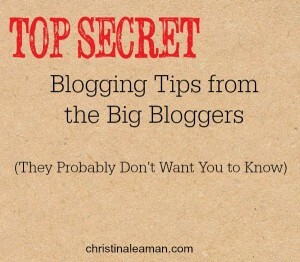 I do a lot of link parties because I’m a newbie but it’s nice to know that the bigger bloggers do it too. I haven’t been promoting as long as that have so that was a good tip as well. I’ve been submitting to more linky parties and noticing a difference in my traffic. If I would just be more consistent with it, I can’t imagine how that would change. It really was surprising for me! It’s a great tool to have in your tool box. I blog 1x a week (well this week 2x because I am doing a little series)… But during that week, I promote the post EVERY DAY up the WAZOO and it helps tremendously!! I used to blog and then took some time off for personal reasons. I missed it and decided this time around to take it seriously. I have done some real research for the last month and realized that most of my traffic comes from a few well received blog posts. This time around I thought I would write less and promote those quality posts more. So excited to see my idea may actually have a good foundation! Thank you for the inside advice! I’ve been there Brianna! 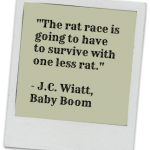 Quality not quantity is always a good rule of thumb! This is my first week of ever posting on linky parties. So, of course when I saw you post I just had to read it. I as really surprised at the 10 days rotation. I hadn’t really planned on that but I will now. This is my second time back to your site because ideas take a little time to percolate with me. I’m glad I’m back. This time I have taken the time to read all the comments. So much more information available in the comments also. Please send me the list also. Thanks so much for sharing.